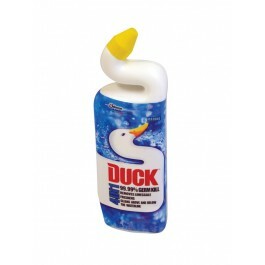 Toilet Duck Liquid provides a complete hygiene solution for your toilet, leaving it clean and fresh, with its 3 in 1 action. The liquid provides 100% better limescale removal than the previous formulation, with the thick formula clinging to the bowl, leaving a long lasting fresh fragrance. The unique angled neck reaches right under the toilet rim ensuring the bowl is left totally clean and fresh. Has a 99.9% germ kill rate. 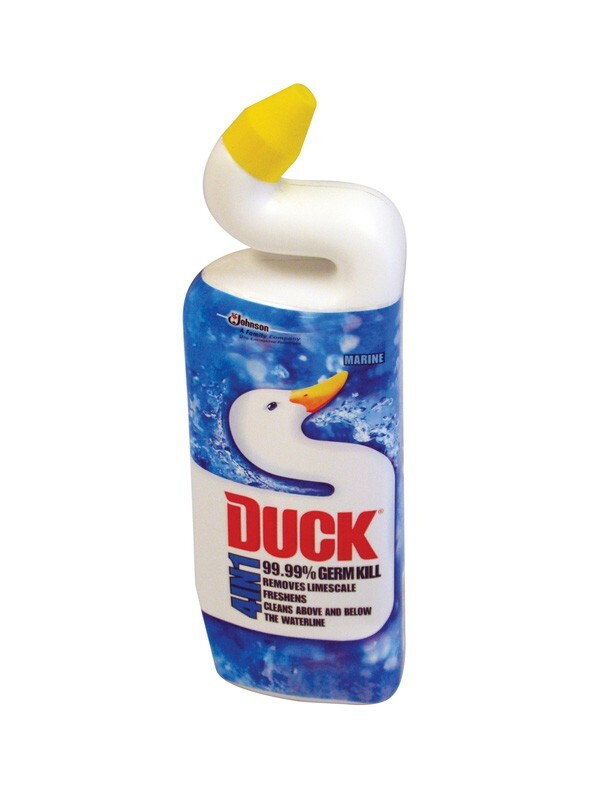 Effectively cleans and freshens toilet bowls. Also available in Citrus fragrance. 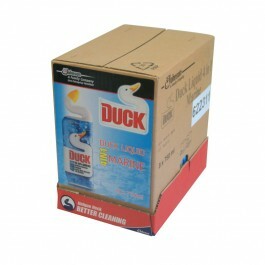 Sold in full cases of 8 x 750ml bottles. To clean the toilet bowl: Firstly lift the toilet seat, and simply direct the Toilet Duck Liquid under the rim and squeeze evenly around the bowl. Use regularly, at least three times a week, to keep your toilet clean, fresh and help prevent limescale.